The VP-P2SRE 6 is a direct acting 2-way flow control valve. Indeed, controls of flows from port A to B are independent of the pressure. Therefore, in the opposite direction, there is free flow through the check valve. The controlled flow rate is proportional to the electrical input signal at the coil. Furthermore, analogue to his size the coil creates a force which pushes the piston against the spring. 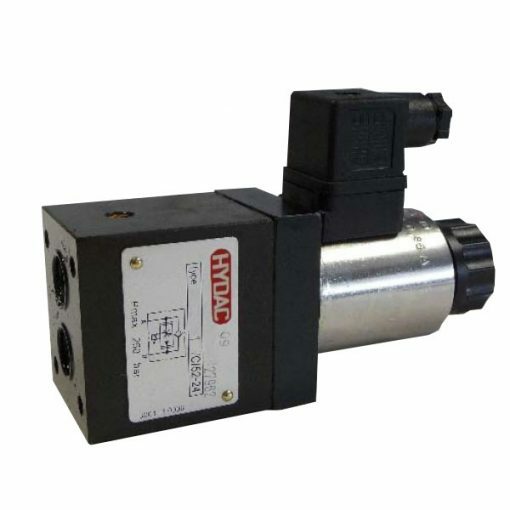 Hereby, it opens the diameters which determine the size of the flow independent from the pressure differential. Also, a built-in pressure compensator enables the regulation independent of pressure changes from port A to B.